A clogged drain can be a frustrating problem to deal with. If you notice water backing up from a drain or your toilet is making a “gargling” sound, your systems may be clogged. This can lead to your toilets not flushing properly and improper bathtub and sink drainage. Contact our team to have one of our plumbers find the clog immediately and eliminate it. Drain cleaning is no problem for Sugar Land Water Heater. If you need a drain cleaning, call one of our experienced technicians to unclog drain immediately. All employees are equipped with a snake machine and a cutter to eliminate any debris in the drain. If that doesn’t solve the problem, we also perform camera inspections. We can feed a camera into your line to figure out what exactly is causing your system to malfunction, and then eliminate the problem with a professional drain cleaning. There are many things that can contribute to a drain pipe becoming clogged. The most common cause is something entering the pipe that was not meant to be drained. Perhaps the most common cause of drain clogging is grease. Grease and other fatty substances stick to your pipes and block liquid from flowing freely. The best way to avoid this is to carefully watch your sink closely when washing substances down the drain. 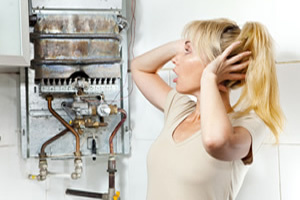 Other causes of blocked drains include hair buildup, and foreign objects entering the pipes. When these things happen, you will need a drain cleaning. 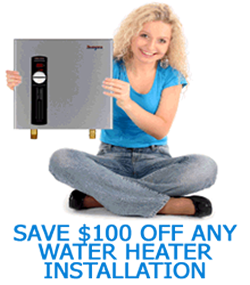 Call Sugar Land Water Heater and one of our employees will assess the issue and find a quick solution for you. Sewer drain cleaning is another service we provide. In most cities, the homeowner (and NOT the city) is responsible for repairing the sewer line associated with the property. Because of this, should you experience a clog or malfunction within your sewer, you will be responsible for paying for the repairs. 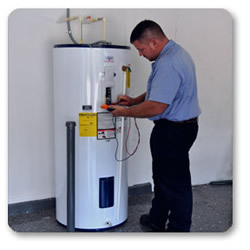 This is never an enjoyable experience, but you can count on Sugar Land Water Heater to deliver top-notch service at an affordable price.